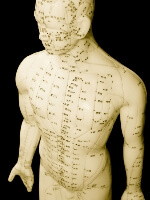 Acupuncture has been used for 5000 years in China and other Asian countries. In recent years, it has been researched in both the East and the West. A study funded by the National Center for Complementary and Alternative Medicine (NCCAM) showed that acupuncture provides pain relief, improving function for people with osteoarthritis of the knee. Acupuncture is useful for a wide variety of health issues. Addiction, stroke rehabilitation, headache, menstrual cramps, tennis elbow, fibromyalgia, myofascial pain, low-back pain, carpal tunnel syndrome and asthma have been helped using acupuncture as an alternative treatment or part of a larger treatment scenario. To see a video of JoAnn discussing acupuncture and the work she does, click here. 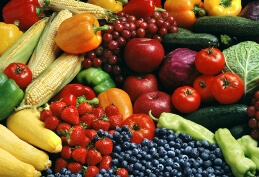 What we eat defines us as a physical being on this planet and helps shape the quality of our lives. Being in a state of wellness is due in large part to our food intake and nutrition is critical in getting well and staying well. JoAnn Simon is a licensed nutritionist who can help you define your physical well-being with nutrition as part of a well-rounded program. "... She does her work and I always feel much better!"